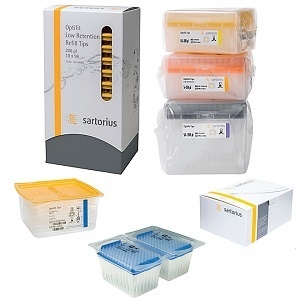 The Sartorius Biohit mLINE Single Channel Pipette ensures accuracy and comfort, even during long periods of pipetting. The Sartorius Biohit mLINE Single Channel Pipettes are extremely light weight and designed to prevent repetitive strain injury (RSI) during prolonged use. With a perfect seal, easy volume setting, and consistent precision, the Sartorius Biohit mLINE Single Channel Pipette is extremely high performing and the easiest pipette to maintain. 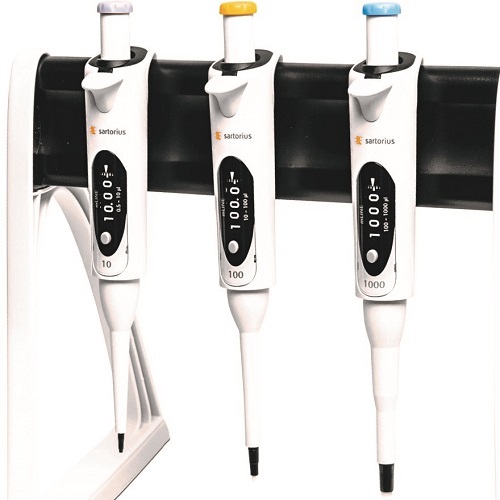 The Sartorius Biohit mLINE Single Channel Pipettes work with volumes between 0.5 µl and 10 ml. 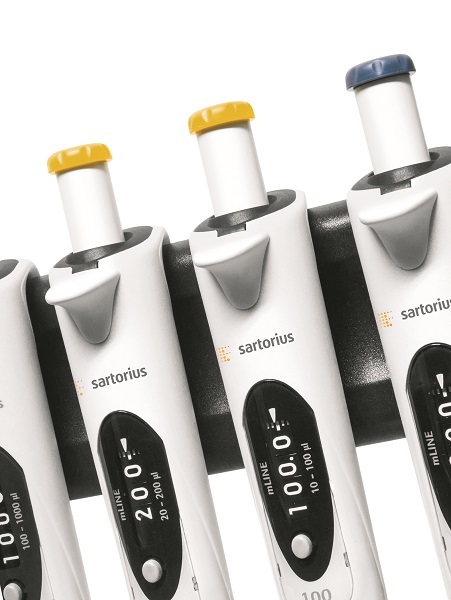 The Sartorius Biohit mLINE Single Channel Pipette is frequently recommended by Health & Safety Officers as being an ergonomic choice of pipette. The Sartorius Biohit mLINE Single Channel Pipette is fully autoclavable and effortlessly accurate and precise. It comes with a 2-year warranty and a CE mark. Sartorius' most advanced mechanical pipette family - the mLINE® - offers excellent ergonomics, performance and safety in manual pipetting. It is particularly designed for repetitive and long-lasting pipetting to prevent work related hand, arm and shoulder disorders or RSI. mLINE® is recommended by health and safety officers around the globe.